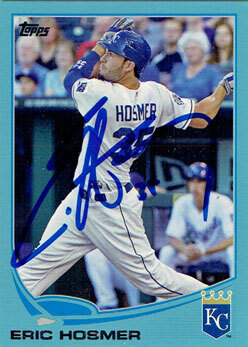 On Monday, I mentioned winning a World Series contest run by Zach of Autographed Cards. Here are my prizes. 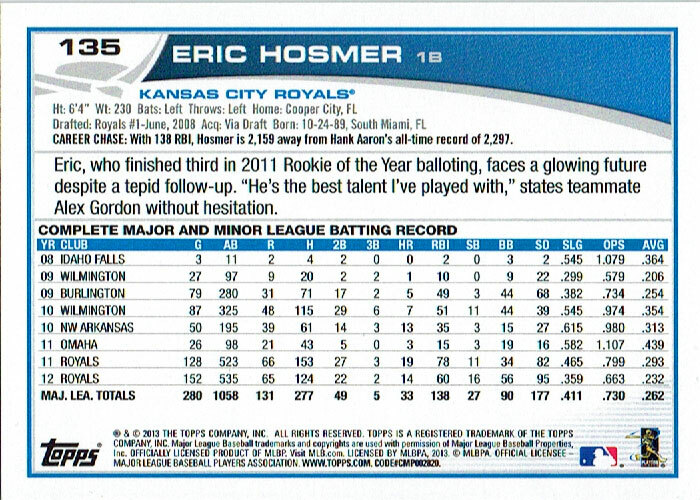 At the age of 24, Kansas City Royals first baseman Eric Hosmer already has two Gold Glove awards. 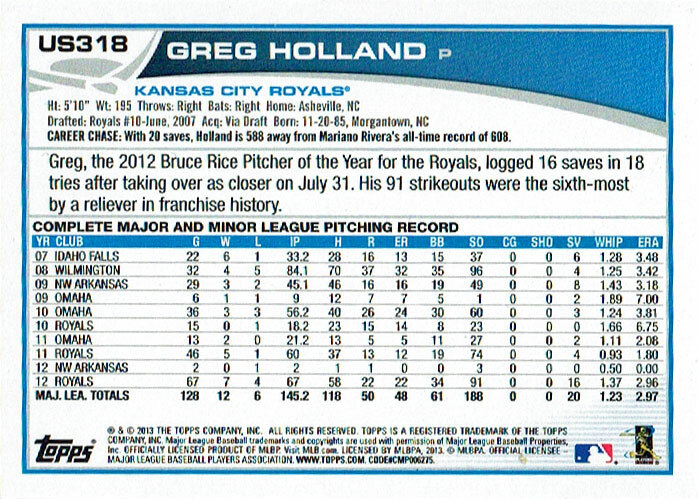 Kansas City Royals closer Greg Holland has 93 saves over the last two seasons. 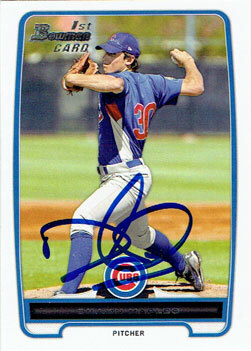 During that time, he’s been named to two All-Star teams and has received votes for both the Cy Young and MVP awards. 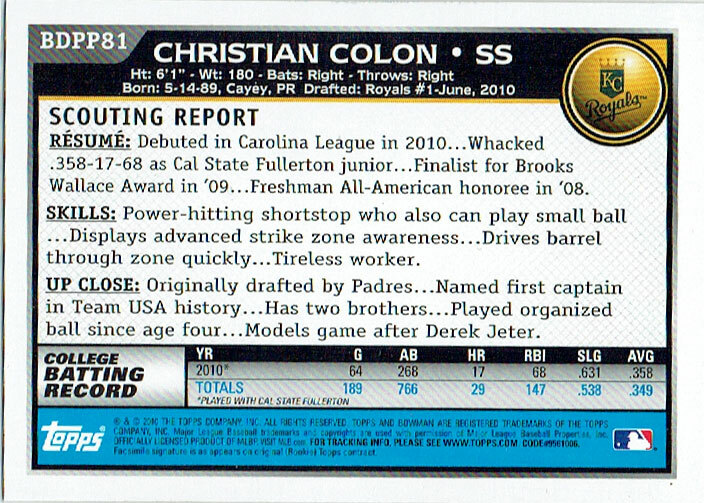 Rookie Christian Colon appeared on the Kansas City Royals postseason roster, but found limited playing time in October. 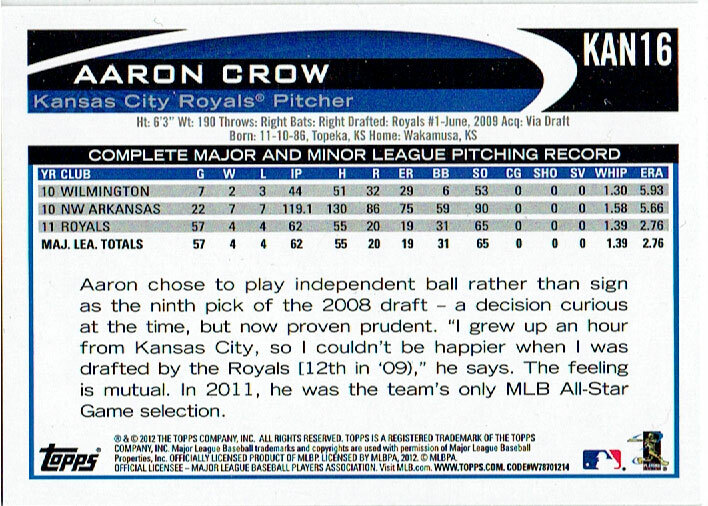 Kansas City Royals reliever Aaron Crow made the All-Star team as a rookie in 2011, but couldn’t crack the post-season roster this year. 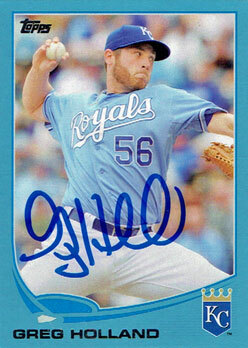 He pitched in 67 games with a 6-1 record and 4.12 ERA in 2014. 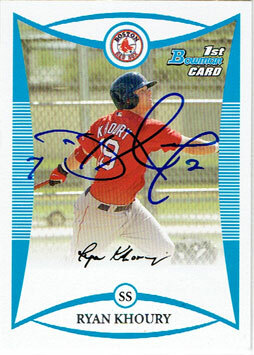 Infielder Ryan Khoury was a 13th round pick by the Boston Red Sox in the 2006 amateur draft, and he remained in their organization until 2011. 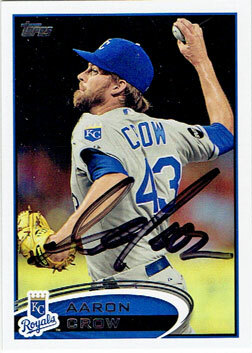 For the past three years, he’s played for the Wichita Wingnuts in the independent American Association. 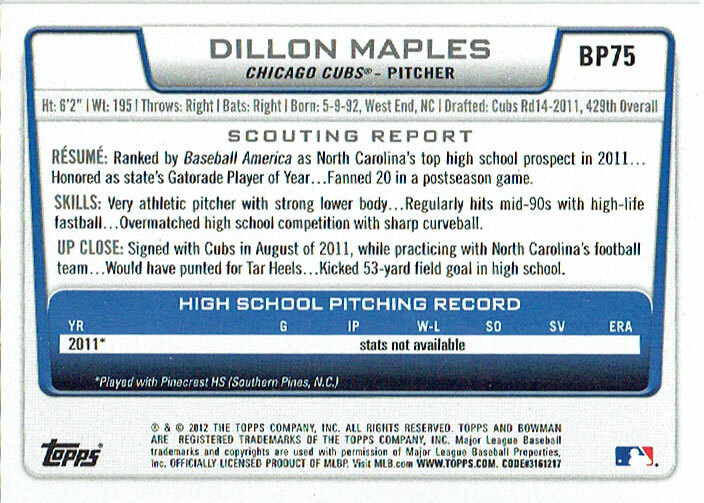 Pitcher Dillon Maples was a 14th-round selection by the Chicago Cubs in the 2011 amateur draft. 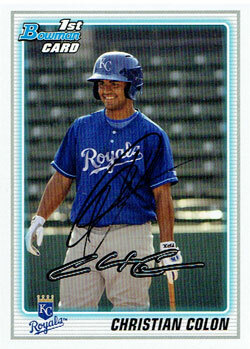 Last year, the 22-year-old split the season between the Rookie-level Arizona Cubs and the Single-A Boise Hawks. 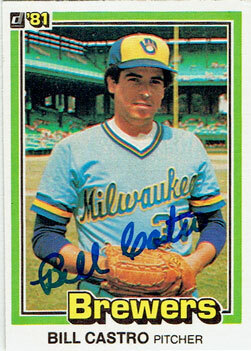 Relief pitcher Bill Castro spent ten seasons in the major leagues with the Milwaukee Brewers, New York Yankees and Kansas City Royals from 1974-1983. 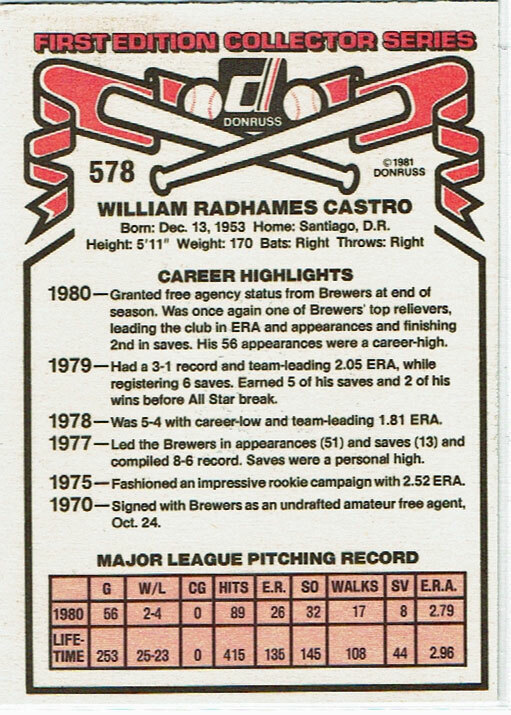 After retiring, he coached for the Brewers and Baltimore Orioles. 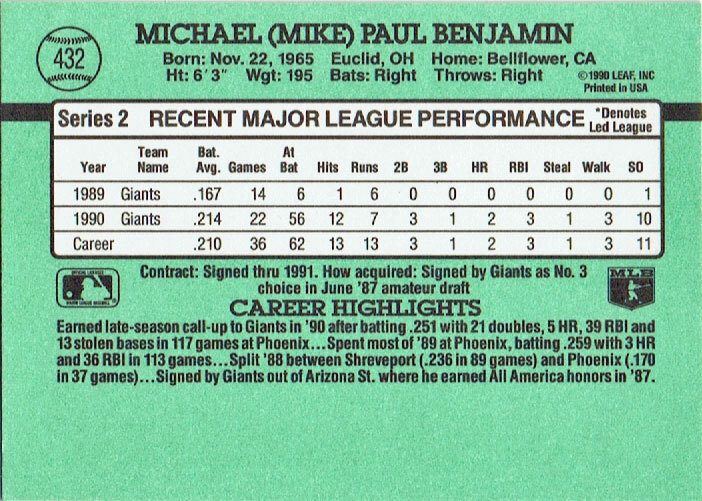 Infielder Mike Benjamin spent 13 seasons in the major leagues from 1989-2002. 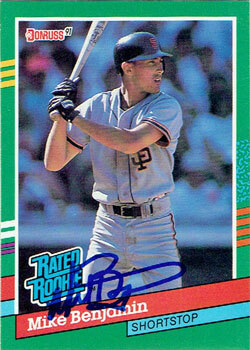 He played for the San Francisco Giants, Pittsburgh Pirates, Boston Red Sox and Philadelphia Phillies. After retiring, he became an assistant coach at Arizona State University. 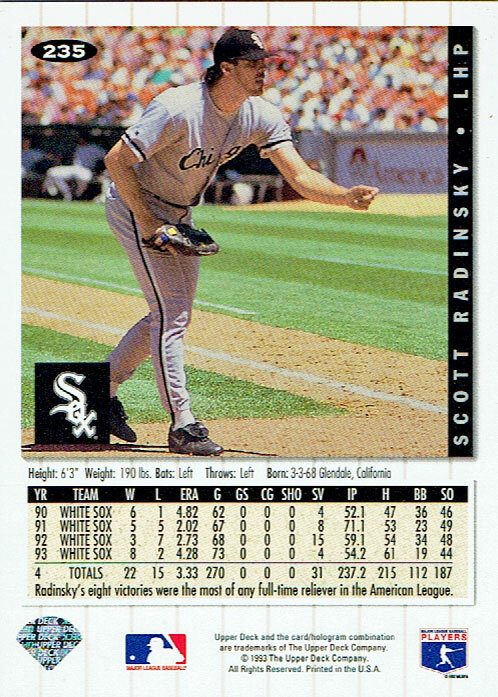 Reliever Scott Radinsky spent 11 seasons in the majors from 1990-2001. 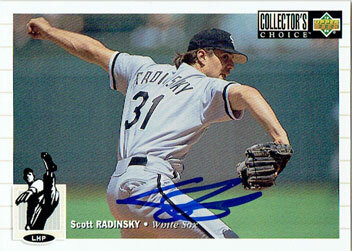 He pitched for the Chicago White Sox, Los Angeles Dodgers, St. Louis Cardinals and Cleveland Indians. 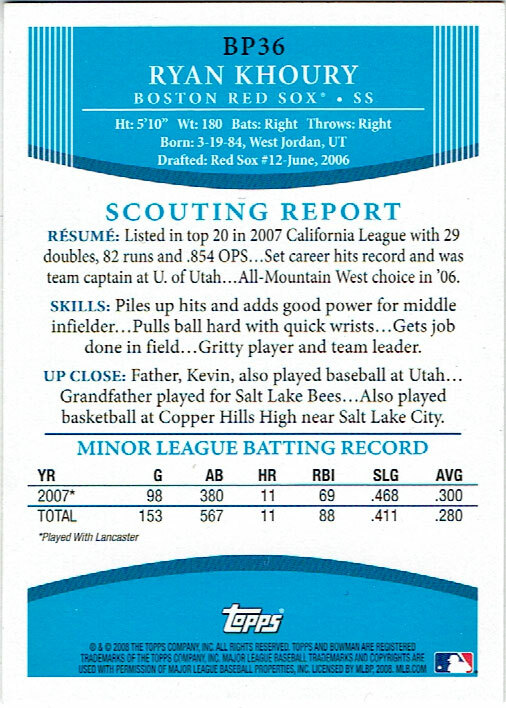 He coached for the Indians and the major and minor league level, but most recently he’s been working in the Los Angeles Dodgers’ organization as a minor league pitching coach. Thanks for the cards, Zach! I may have gotten Khoury’s autograph when he was playing for the Portland Sea Dogs, but everyone else is definitely new to my collection. Glad I was able to add some new additions to your collection.